Getting Stitched on the Farm: Come to Our Holiday Open House this Coming Weekend - Here Are My Special Guests! Come to Our Holiday Open House this Coming Weekend - Here Are My Special Guests! I hope you all had a good Thanksgiving Holiday. We had a great visit with family and cousins. I look forward to the chaos of all the people every year. My family is quite loud (The Farmer would tell you) and so the couple of days we spend together is rather raucous but so much fun. On the Friday after Thanksgiving we continued our crafting tradition at my sister Nancy's home in New Hampshire. These two days together are really the only ones we all spend together at the same time so it is fun and memorable. My friends Gail, Alicia and Deborah and I have been very busy making beautiful things for this coming weekend's 4th Annual Holiday Open House. I hope some of you can make it. I thought I would share some of their recent work here today. I'll start with Gail. Many of you probably know her as The Kangaroo Dyer if you are into yarn. 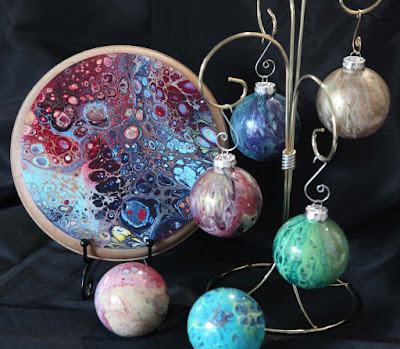 She is also the author of Hand Dyeing Yarn and Fleece. 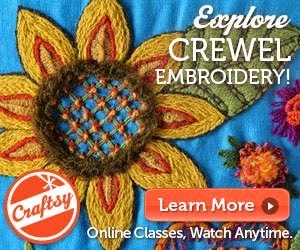 Her book is one of the best selling craft books ever. Gail is the inventor of The Color Grid which I have written about before. Recently Gail has been dyeing silk fabrics. She will have her hand dyed yarn and silks, books, and Color Grids with her this weekend. I have a few of her brightly colored silks that I wear almost every day as scarves. They keep my neck warm, are lightweight and don't get in my way. Here are some of Gail's silks. Gorgeous. Here are some of her beautiful hand dyed yarns. Check out Gail's website here if you are too far away to come to the Open House. My neighbor Alicia Blaze Hunsicker is a Fine Artist. 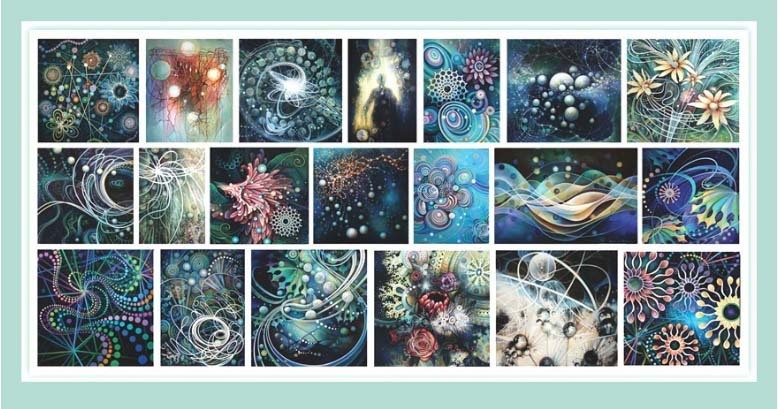 She is an incredibly talented painter and has exhibited widely in the Northeast. Alicia has painted in oils and most recently acrylics. Her recent work has an other-worldly quality to it. Here is some of her work and you can see more on her website here. Color and attention to detail has always been part of Alicia's world and I think this new work is stunning. Check out her website for more. 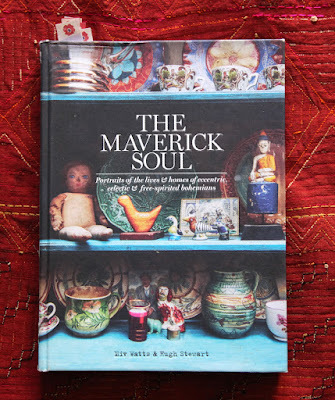 My last guest is my Textile Loving Friend Deborah Garner. For years, Deborah and her partner Jay travelled the world collecting textiles from foreign lands. Their main business was supplying museums with rare tribal textiles. You can imagine how Deborah and I hit it off once we discovered our mutual love of textiles. Deborah has a wealth of knowledge and has lived quite an amazing life. In her textile travels, Deborah collected lots of beads and trinkets from the tribes. 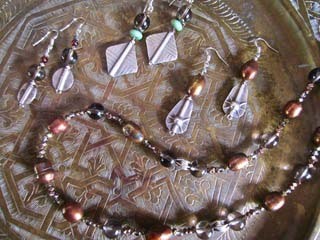 For this Holiday Open House, she is making jewelry out of objects from her collection. Here are some of the baubles that she has made so far. You can check out Deborah's website here and see some of the incredible textiles she has collected. 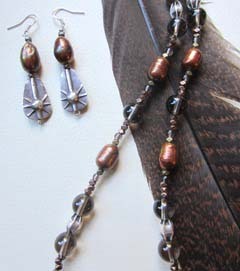 Here is the link to her Jewelry page which has many beautiful earrings and necklaces for sale too. So that is a little preview of what we have in store for this coming weekend. I will be sharing some of my finished work later this week as it cools down from the latest kiln firing. Fingers crossed the weather cooperates for us all. Wow, what a wonderful selection of interesting crafts you will have, plus your own colorful pots! Wish I lived closer. Hope it's a grand success!